The United States is one of the only countries in the world that still uses miles instead of kilometers. If you're an American, you probably have a good sense of how long it takes you to walk a mile (about 20 minutes at an easy pace). But most walking routes and runs are described in kilometers. How many miles should you walk or jog to simulate a 5K route? How long is a 10K route? How long will it take you to walk different distances at a fast pace, moderate pace or easy pace? Miles to Kilometers Calculator, with Walking Time: Use this online calculator to get the answer. Pace Calculator: Find your speed. 1 mile is 1.6 kilometers. Miles x 1.6 = kilometers. 1 kilometer equals 0.62 miles. Kilometers x 0.62 = miles. Fast pace: 11 minutes per mile or 7 minutes per kilometer. This is the speed of a fast walk or an easy run. Moderate pace: 15 minutes per mile or 9.4 minutes per kilometer. This is a healthy brisk walking pace. Easy pace: 20 minutes per mile or 12.5 minutes per kilometer. How to Measure Your Walking Speed: use these apps and gadgets to see how fast you are moving. The 3.1-mile distance equals the 5K distance of many walks you may participate in for charity or for fun. As you see, you can walk it in an hour or less. 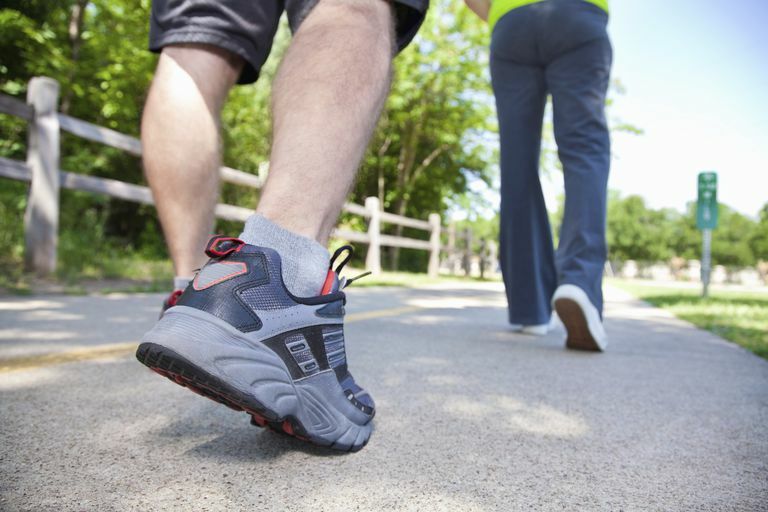 How to Train to Walk a 5K: Here's how to get ready for those fun walks. How to Train to Walk a 10K: Use this plan to build up your stamina so you can complete this distance and enjoy the sights along the way. How to Train to Walk a Half Marathon: see the steps you need to take to build your walking time and pace steadily so you are ready for the 13.1-mile challenge. The rest of the chart takes us up to the marathon distance of 26.2 miles or 42.2 kilometers. It's going to take another few hours, even without rest stops. That's how far it is and how long it may take you. Are you ready to start training?